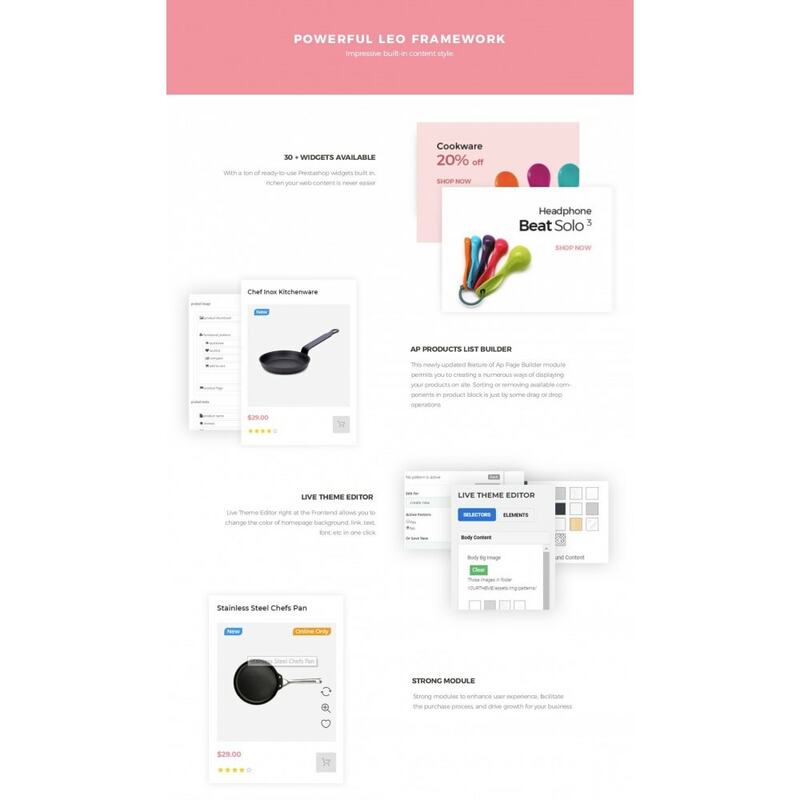 Uniware is a wonderful Prestashop 1.7 Responsive theme for diversified products. It’s specially designed for kitchenware, kitchen appliances, kitchen things, kitchen tools, houseware. Leo Uniware comes with trending design. 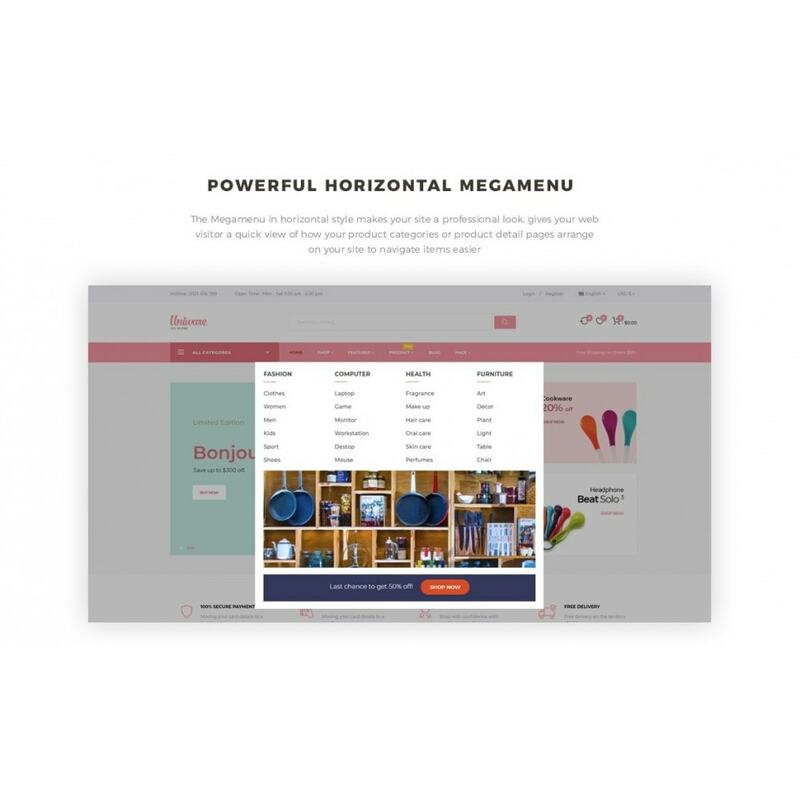 Firstly, our built-in mega menu is the perfect choice for a large menu. You can easily setup columns or rows with icons or images. 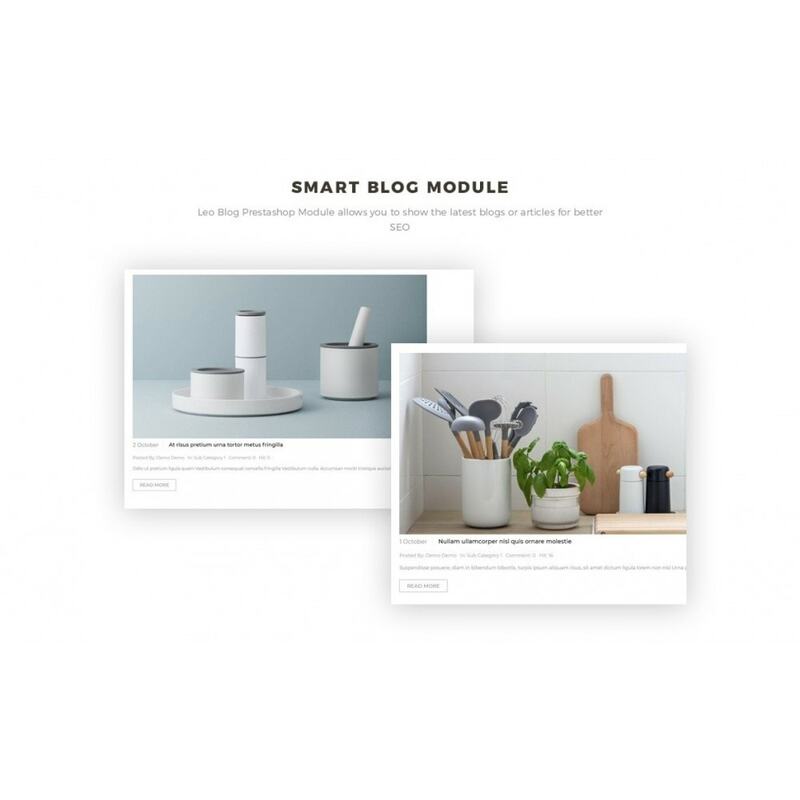 Next, thanks to the slideshow module will leave a place for you to showcase the best of your online store to approach your website visitor. You are free-worried about the loading speed of your website. Moreover, Leo Uniwarefeatures with 100% responsive design and mobile friendly, which will let your customers access your business wherever they are and on any smart devices. 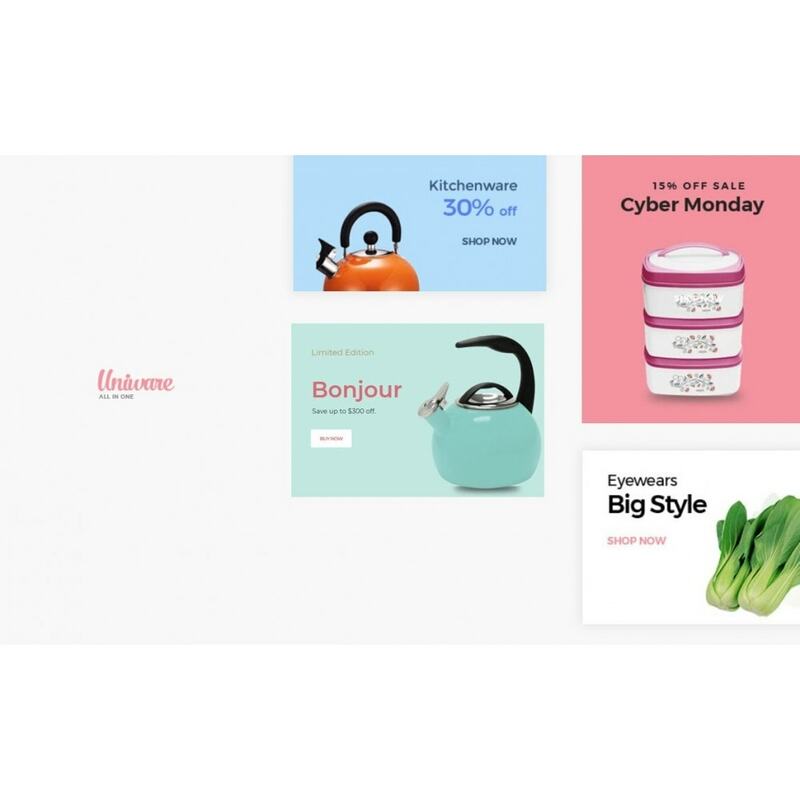 This eCommerce theme supports multi-language and RTL to works well with any languages installed on your website, it enables you to translate your website to any language. 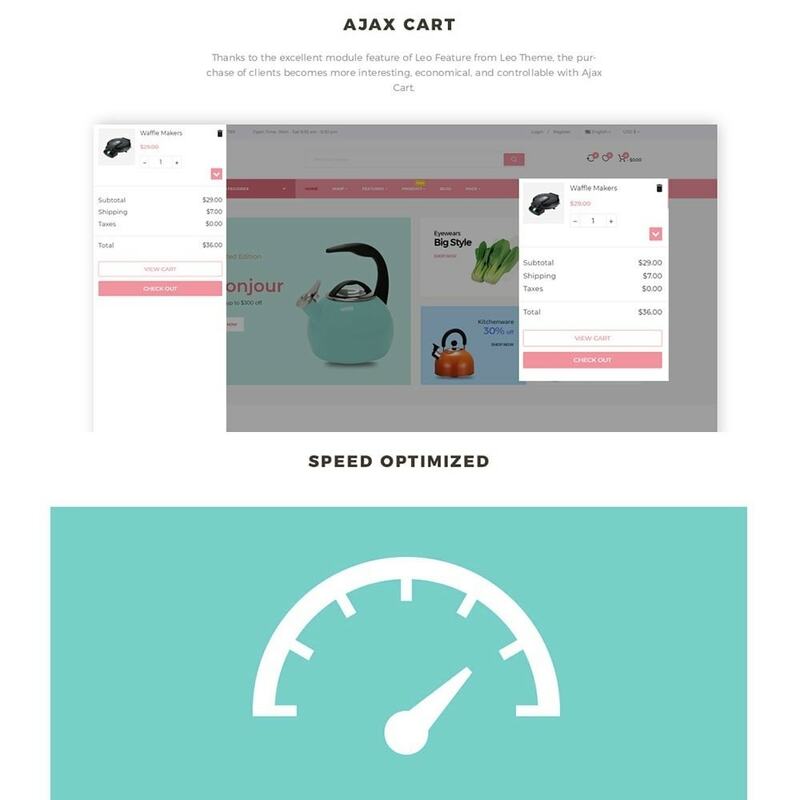 What is more, the Product quick view feature let users view details of your products in a popup, which is time-saving and improves the shopping experience. Hot Deal Product shows sales, promotions, upcoming events to suit your marketing purpose, boost sales in a period of time. Scroll back to top button is for you to get back to the top of the webpage in a second without wasting time scrolling the mouse. 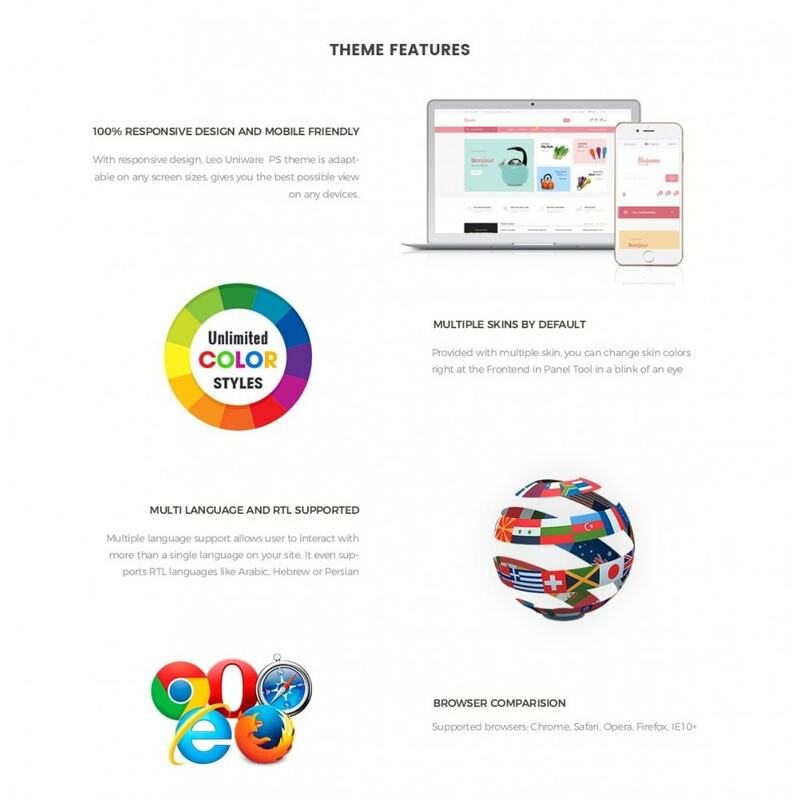 Last but not least, live theme editor allows you to change your homepage, layout and background intuitively. Additionally, you also benefit from our life support service, available 24/7 and free with every purchase. 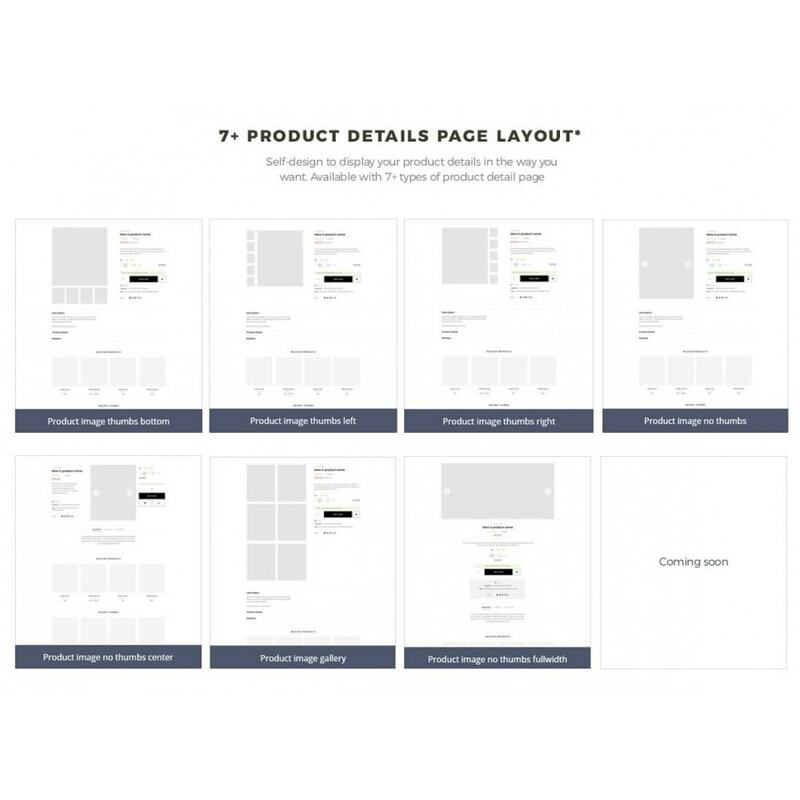 Especially, it comes with unlimited color and a color picker in the admin panel to create gorgeous websites with various layouts.